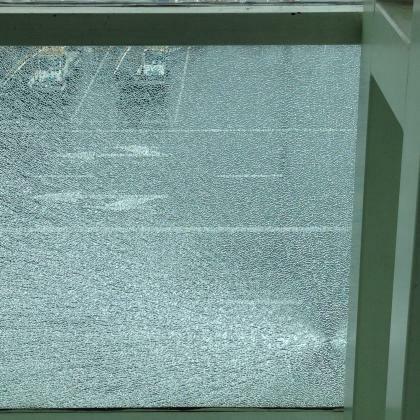 Recent incidents in Melbourne of glass panels on inner city buildings spontaneously ‘exploding’ and falling down near pedestrians, have led to immediate suggestions that poor quality imported glass from China is to blame. But the problem isn’t Chinese imports. It is a failure of design where solid toughened glass, which is known to have the potential to ‘explode’, may be being used in potentially dangerous applications – like external balustrades over a footpath. The design and construction industry has simply forgotten the lessons of the past. It is ironic that this issue is causing some confusion in Melbourne because it was here that the problem of exploding glass first hit the world stage when in the 1960s seventy-one glass panels on Australia’s first skyscraper, ICI House (now Orica House) cracked and eventually fell. The problem of ‘spontaneous breakage’ of toughened glass is well known. It is caused by microscopic particles of nickel sulphide (NiS) that sometimes are unavoidably mixed-in with the sand used in manufacturing the glass. These nickel particles aren’t a problem for normal glass, but do become an issue when glass goes through the toughening process in which it is reheated and then suddenly cooled down. In the toughening oven, NiS inclusions shrink in size, but once the toughened glass is taken back to ambient temperature, these inclusions have the tendency to revert back to their original size. 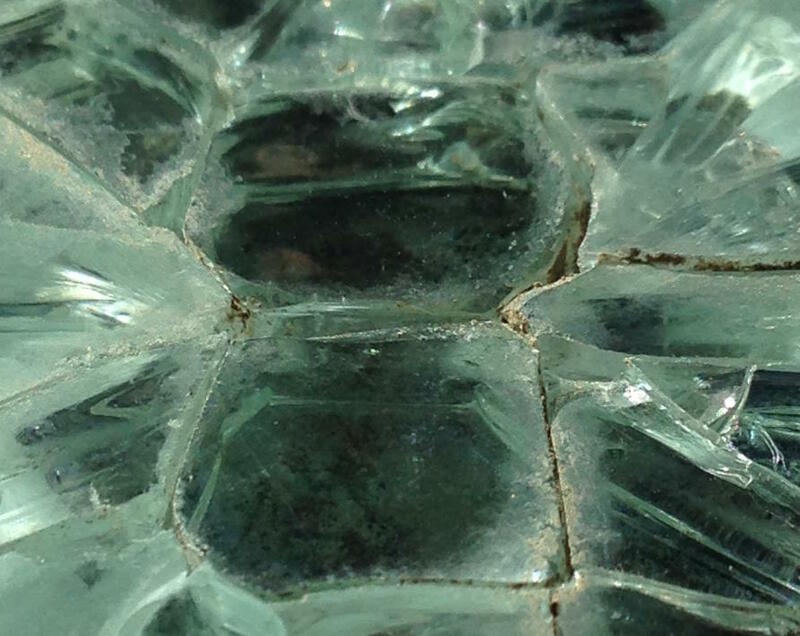 If the inclusions expand with a force that overcomes the internal stress of the material, then glass can break. And when glass is toughened, it breaks suddenly and without warning in a multitude of small pebbles. NiS breakages can be easily recognised before the panel shatters because of the characteristic pattern that radiates from the point where the small impurity has expanded. These impurities are small, but they can still be detected with the naked eye once the panel has broken. They are, however, virtually impossible to detect and eliminate in the factory by the current methods of manufacturing of float glass. Therefore the prevalent industry approach to addressing this problem is one of risk management. To identify toughened panels that are at risk of ‘exploding’, glass can be re-heated in another oven in the factory, which accelerates the conditions that may lead NiS stones to break. This process is known as heat-soaking. Heat soaking doesn’t eliminate or fix the impurities, but it induces at-risk panels to break early in the factory, rather than later on site. The process is relatively expensive because panels are not heat-soaked one by one, but in batches. That means if one panel with NiS breaks in the oven, a whole batch of glass is gone. It was the experience of ICI House in the 1960s that brought the problem of NiS in toughened glass to light. 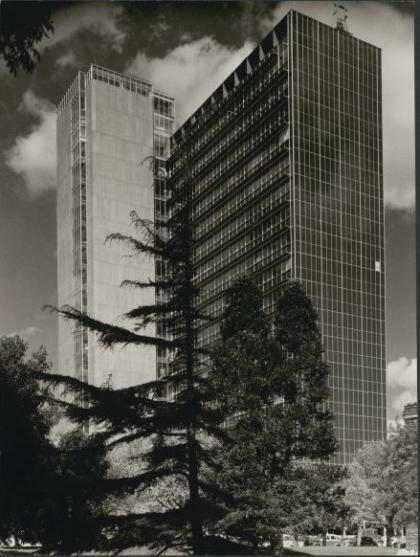 The discovery was due to research work done by Ron Ballantyne, a materials scientist at the CSIRO who investigated the panel breakages on the western façade of ICI House. The history of how we came to fully understand the spontaneous breakage problem – and the subsequent implications for glass innovation and late modernist architectural styles – was explored in a University of Melbourne paper presented just last year to the Society of Architectural Historians of Australia and New Zealand. But, too often, history is discarded as irrelevant and memory is lost. A spectacular failure due to the very same problem occurred forty years after ICI House at Waterloo Station in London. The central issue shouldn’t be one of poor imports, but rather of understanding good design with glass, and the Australian and other international standards that pertain to this fragile and sophisticated material. Modern glass has always been a product of global trade. The glass that broke at ICI House in 1960 was in fact from Belgium. Australian buildings used glass imported from two dominant US glass-makers until the 1980s, but today most glass for construction is sourced from China. The contemporary market dominance of Chinese-made glass is such that even in Toledo, Ohio, one of the traditional US ‘glass-making cities’, the Americans have surrendered to Chinese imports. Chinese glass was even used for the construction of the Toledo Glass Pavilion, a glass architectural jewel that houses the Libbey-Owens-Ford collection, one of the biggest and richest collections of glass art in the world. Toughened glass has an inherent problem, but there are two possible solutions, and the best solutions come from good design, and not by raising trade walls. One solution is to pay a bit more for the heat-soaking of toughened glass, so that faulty panels are induced to fail in the factory and are therefore excluded from the supply-chain. If glass contractors don’t trust their suppliers of heat soaked glass from overseas, they can consider supporting their own Australian glass industry, rather than continue shopping for the cheapest glass panels on the market. Heat-soaking, however, minimises the risk but does not eliminate the problem, and it does not guarantee that some panels may not still break. The other solution is to avoid the use of solid toughened glass in overhead applications, and instead use other glass types, such as laminated glass. In laminated glass, two sheets of glass (toughened or not) are sandwiched together with a bonding interlayer. Laminated glass may still break, but it does not shatter immediately in large shards or fall like a thousand projectiles to the ground. That is because, normally, the cracked glass would continue to adhere to the other laminated panel soon after the breakage. Recently, three panels of the atrium skylight of our Melbourne School of Design building broke for the very same reason that caused some balustrades to break and endanger pedestrians in Melbourne. But there were no dangerous consequences at the MSD because sensible design practice had prevented that. The skylights that broke were the external ones of a double glazed unit that was protected by a laminated glass panel on the inner side. Therefore no glass fell down in the atrium. 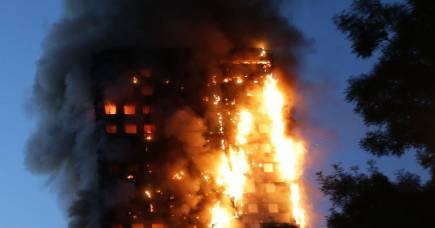 The most pressing issue about exploding glass is not one of imports, but one of ‘lost memory.’ History shows that higher risks with glass are run when those involved in facades forget or ignore some of the properties of the delicate materials they have been commissioned to handle. Why are Australians linguistically lost?